May the Force Be With You ... No Really! In certain esoteric circles, a lot of attention is given to the accumulation of "force." The more force a magical practitioner has, the more effective her magical rituals and intentions will be. No wonder Luke was always concerned about "the force"! The neat thing about force is that it helps you be more effective in daily life as well. So force is a good thing all around. Many of the daily magical rituals that we describe on our website and this blog help you accumulate force in your magical practice. One area that we have not touched upon much is that of timing. It is one thing to gather and accumulate force. The use of force – or more specifically, having access to magical force when you need it – is another matter. This is where timing becomes important. When you feel tired, depressed, hopeless, or otherwise "down" you will not be able to access your force without taking certain steps. For instance, moving your emotional tone up from depression to anger will give you more access to your force because anger is a more "forceful" emotion than depression. Of course, anger also wastes quite a bit of force, so sometimes the use of anger negates its own energy. 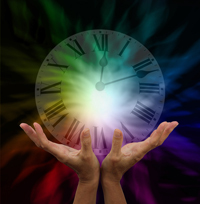 One method for accessing force when you need it is to practice the art of timing. When you feel down, you won't be able to access your force. You probably know yourself well enough to know what triggers cause you to feel negative, as well as what actions or events uplift your spirits. If you need to perform a magical ritual but have no force, don't perform the ritual now. Wait. Eventually the timing is right for everything, including your magical ritual. You may want to have everything for your ritual prepared so you can launch into action the moment you feel your force returning. Even if you need some force at your job--in which case force could translate into inspiration, ideas, or will--the art of timing will help. If you feel dead inside, a total lack of force, then don't try to work on a project that calls for inspiration. Instead, turn your attention to something else. Go take a brisk walk to get your physical energy moving. 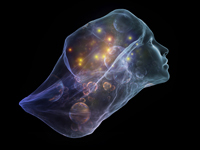 Often the energy of physical movement transfers to your intellectual and emotional centers. If this happens, then you will feel your force returning. You will feel moved by your muses and excited by the possibilities. The moral of this tale? When in the doldrums, just wait. Your force will return. It always does. May the force be with you! If you enjoyed this post, please consider leaving a comment or subscribing to the feed to have future articles delivered to your feed reader or email. Or, visit our website for more great resources. The magic of dreams is an art that has been studied by magical practitioners for a very long time. In fact, in many aboriginal cultures, dreams are reality and reality is but a dream. These cultures believe in the magic of dreams and dreamtime. Dreams are certainly one of the most commonly used channels by angels, guides, higher selves, and totems. This is especially true if we tend to be fairly deaf to messages from these beings in our every day lives. So it's important to make use of the magic of dreams, since for some people this is the only way that our higher guides can communicate with us. One of the biggest obstacles people face when they first try to access the magic of dreams is that they can't remember a single dream. In fact, some people even doubt whether they dream. But according to Edgar Cayce, everyone dreams. Some people are simply better at recalling their dreams than others. Aside from the usual techniques to help us remember dreams (such as keeping pen and paper by your bed and jotting down dream fragments if you awaken during the night), Cayce stated the moods could help us remember our dreams more clearly. If you "wake up on the wrong side of the bed" and feel grumpy upon opening your eyes, the chances are that your dreams are about some conflict in your life. Cayce counseled people who awoke grumpy and unrested to study their waking lives as well as their dream lives to find this conflict. On the other hand, if you awaken feeling peaceful and refreshed, you know that your dreams are not dealing with some serious conflict. This does not mean you should not access the magic of dreams by trying to remember your dreams, only that the need to solve a conflict is not present. So moods can definitely tell us when we need to be "alert" to our dreams, and when we can rest easy, so to speak. If you watch your moods upon awakening over a long period of time, you may also begin to remember your dreams more easily and clearly. You've hired some angels. You've launched a spell. You've made some sacred space. You've talked to the powers that be. In short, you've done everything in your power to bring magic to bear on something specific in your life ... and nothing is happening. What now? Or, if you don't like kites, take a hike. Ride a bike. Fish for pike. Sing into a mike. Stick your finger into a dike. Take a drive on the turnpike. OK, so maybe I'm getting carried away here (I'm often heavily influenced by the rhyming of spell chants), but you get the point. If the magic doesn't seem to be working for you, go do something else for a while. This might be counter-intuitive, but it really works. We get emails from students and strangers all the time, asking us what to do when the magic isn't working (or isn't working fast enough) and we often tell them to fly a kite. Here's the thing. Magic always works. What delays the magic? Us. When we get worried, angry, depressed, and negative, the magic slows way down. As the teacher Abraham-Hicks is fond of saying, "You cannot have a happy ending to an unhappy journey." If you feel negative, then you're on an unhappy journey, and you can't have a happy magical ending. The reason magical beings can't deliver the result you want when you feel negative is because of the Prime Directive. Just like on Star Trek, the Prime Directive says that other beings can't interfere in your life. If you have asked for something magical to happen in your life, but then you doubt that it will happen, your intention rules supreme. 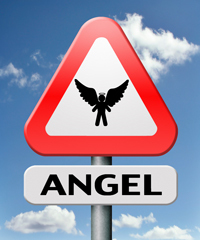 Your doubt serves as a giant stop sign to angels and other helpers. They can't override your dominant intention of doubt. But once your attention shifts into neutral, magical beings can once again deliver the magic into your life. You don't even have to be positive. You just have to not be negative. That's why flying a kite helps. It takes your mind off the "problem," which switches your attention to neutral. When you return from flying a kite, voila! Some magic will probably have taken place. So do something, anything, to keep yourself busy while the magic happens. Stop getting in the way and the magic will appear. Do something "in the meantime." Your angels will thank you! Most esoteric teachings divide knowledge into several different levels. It’s important to differentiate between these levels of knowledge since a magician or shaman must know what kind of knowledge is trustworthy and what is not. IGNORANCE: You do not know about the existence of something. KNOWLEDGE OF: You have heard of the existence of something but don’t know anything about it. KNOWLEDGE ABOUT: You have heard other people or sources talk about something. This is also commonly called hearsay. KNOWLEDGE: You have directly observed or experienced something. Magicians and shamans consider this true knowledge. KNOWING: Information you receive through your spirit senses which you may or may not be able to validate through your physical senses. Most esoteric practitioners consider only knowledge and knowing to be trustworthy sources of information – everything else is open to question. Because magicians and shamans are the researchers of the metaphysical world, their job is to verify everything they read or hear about through actual observation and experience. Why are these levels of knowledge important? Because when you’re traveling out of body or working with high level magical techniques that could have serious consequences you’d better be sure of your knowledge. The Universe judges you on what you do, not what you meant to do (based on faulty information). In daily life if you choose to only put your faith in knowledge and knowing you will find that your life becomes much more harmonious. Why? Because most of our daily problems arise from trusting information that we only know of or know about. If you validate what you believe through actual experience and observation you won’t fall into the usual societal traps. Good luck! Divination rods are a great magical tool to add to your magical toolkit. Divination rods, also known as dowsing rods, can be used for divinations such as for finding lost objects, healing or to change the energy around circumstances and events. As a divination tool, these rods can help obtain information by psychic or magical means that is not readily available to the five senses of the body. One type of divination rod is simple to make from household materials. This type is called an L-rod. The other popular type of dowsing or divination rods are a Y shaped wooden rod. You may be most familiar with these as being used to find water by people called water witches or dowsers. Below are the instructions on how to construct your own L-rods to use as divination rods. 1. Gather your materials: a coat hanger made completely of metal (no cardboard pieces), a drinking straw, a measuring tape, scissors and wire-cutting pliers. 2. Use the pliers to cut the curved top part of the hanger just below the twisted section of wire (this will require two bends). 3. Now measure the longest section of the metal piece and mark the halfway point. 4. Use your pliers to snip the hanger where you made your mark. Now you have two pieces of wire, each with a bend. 5. Reshape each piece of wire so that each wire has a 90 degree bend. 6. Take one of the metal pieces and measure both lengths of metal on either side of the curve. Snip both the short and long lengths so that the long length is three times as long as the short length. For instance, if the short length is 3" then the long length should be 9". 7. Do the same for the other rod. 8. Using the scissors, snip a piece from the drinking straw so that the straw is slightly shorter than the short side of the rod. 9. Slide the drinking straw over the short side of the rod, then use the pliers to bend the end of the rod so that the straw can't slide off. The straw allows you to hold the rod while allowing it to swing freely. 10. Repeat the process with the other rod. Congratulations. You now have your own pair of homemade divination rods! The next step is to train your divination rods. Like all magical tools, for your divination rods to be most effective, you need to personalize and "train" them to work for you. The process is simple - much simpler than keying other magical tools like the Wand or the Athame. To train your divination rods, take a regular sheet of white paper and draw a large X that takes up the entire page. Place the page in the center of an open area of you house. Now step away from the paper and stand at least five feet away, facing the X. Hold one divination rod in each hand, angling your hands so that the rods point straight ahead of you. While remaining standing still, command your divination rods: "Find the X!" Keep your mind focused on finding the X as you walk toward the X on the ground. Carefully keep your hands neutral and don't try to control the process. As you walk closer to the X, the ends of your rods should begin to move towards each other. They should cross each other as you walk over the X. As you walk away from the X, the rods should move away from each other again. Don't worry if your rods don't "find" the X at first. Remember, this exercise is meant to help you train your divination rods. Just keep practicing this exercise, approaching the X from different angles until you see results. To learn about other exercises and uses for your divination rods as well as other divination methods, get our Psychic Development Ebook. And above all, enjoy the magic!